Performing the classical classic on classical guitar. A rendition of the classic Spanish folk song by Simon Goldsmith, from ESGI Media. I previously began a dynamic article collecting reviews about the Samsung NX1 interchangeable lens system camera, but found that my comments on the reviews were growing the article to a silly size. My views aren't needed, people come here to see what reviews are available. So here I'm going to simply post the link to the article along with a quote from it of my choosing. These links all go straight to their respective NX1 reviews, I've only edited the text of the link to make it easier for readers to recognise the source website. cameras.reviewed.com - From a raw performance perspective, the NX1 can easily match—and often exceeds—the capabilities of the Olympus OM-D E-M1, the Panasonic GH4, the Fujifilm X-T1, and the Sony A7 cameras. It also soundly outpoints the Nikon D7100 and Canon 70D in many key ways, especially capture speed. Though you could very easily make a compelling case for any of those cameras as being the best choice depending on your needs, the NX1 has perhaps the best all-around resume of the lot. ephotozine.com - For those that prefer larger cameras, or have found compact system cameras too small, then the Samsung NX1 will be a welcome addition, and for those looking for a high speed camera with a high resolution, then this is one of the highest specification cameras available. eoshd.com - Let’s start with that sensor. It is basically a portable, power efficient version of the CMOS in the 6K RED Dragon. It can do the 6.5K raw readout thanks to a copper process on the sensor that reduces resistance and therefore heat by 70%. It is the industry’s first 28MP APS-C sensor for stills cameras (Super 35mm in cinema terms) and the first backside illuminated APS-C sensor. trustedreviews.com - It offers burst shooting at 15fps, with continuous autofocus and RAW-plus-JPEG capture. This is incredibly fast, beating even sports and action DSLRs like the Nikon D4S, which shoots at 11fps and costs thousands more than the Samsung NX1. Progress in this sort of processor-dependent area is predictable, but the extent to which the NX1 flattens the competition is alarming. The Canon 7D MKII tops out at ‘just’ 10fps, and we were pretty impressed with that. photographyblog.com - The Samsung NX1 majors in two key areas - features and image quality - and backs them up with excellent handling and customisability, solid build quality, and importantly a very reasonable price tag for everything that's on offer. 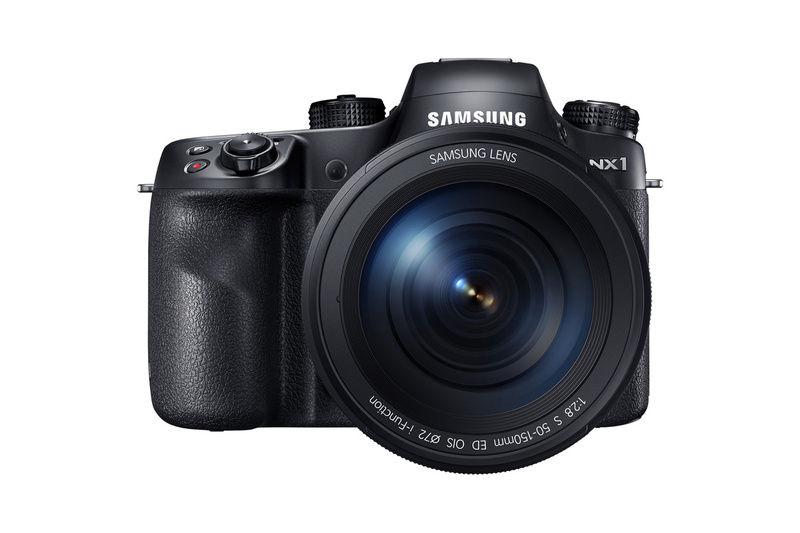 techradar.com - The Samsung NX1 is an excellent camera. It feels great in the hand, is weatherproof, provides plenty of control, is enjoyable to use and produces superb quality images. thephoblographer.com - (image on review page) This was shot at ISO 6400, though if you showed me this image, I wouldn’t be able to tell you that. The NX1 is remarkably good at high ISOs, so much so that I kept the camera in Auto ISO for most of the review period. I was consistently surprised when I pulled the images into Lightroom and saw the ISO level for each image. If you find yourself in situations that demand higher ISOs, know that the NX1 will most probably help you get the shot. photoreview.com.au - Samsung is a relative newcomer to the enthusiasts' camera market and appears to be struggling to gain traction at a time when camera sales have slowed or, in some cases, declined. However, in the NX1 the company has created a camera that is technologically superior to equivalent DSLRs from the long-time market leaders, Canon and Nikon. admiringlight.com - The NX1 has a particularly beautiful color response that continues through the ISO range up to about ISO 3200. Beyond ISO 3200, color gets more muted, and becomes extremely muted at the extreme ISOs. The rendering is reminiscent of the great color that Fuji and Olympus manage to produce in their imaging engines with minimal postprocessing. I was very pleasantly surprised by the depth of color on the NX1. pocket-lint.com - Despite some software foibles and some of the technology not living up to its fullest potential, after a week of shooting with the NX1 and then opening shots in full on our computer screen, we came to realise just how capable this camera is. camerastuffreview.com - Read the review of the Samsung NX 16-50 mm f/2-2.8, and you see what the Samsung NX1 is capable of: the highest resolution at all focal lengths of all the APS-C sensor cameras (and a great many of the lenses on full-frame cameras) that we have reviewed to date. techguide.com.au - Contouring on the grip is as close to perfect as I’ve ever encountered. I found it amazingly comfortable to handle, as if the grip had been moulded around my own hand. slrlounge.com - Jumping up to ISO 3200, you can actually give the edge to the NX1 over the A7R. At this point, the A7R is starting to lose some of the color in that golden trace – it looks green rather than gold. Pause for a moment and realize what that means – an APS-C sensor with tiny pixels is beating a 35mm “flagship” sensor at high ISO under low-light conditions. htxt.co.za - If you are in the market for an excellent mirrorless camera that has a little more heft to it and image quality to boot, Samsung’s new NX1 should definitely be on your radar. It competes directly with the likes of Canon’s EOS 7D II and Nikon’s D7100 DSLR camera, and a plethora of Fujifilm and Sony models… but to be honest, Samsung is winning this race – so far. gizmodo.com.au - Snapping that Kodak moment — or Samsung moment, if you’re so inclined — is easy when you have the NX1′s machinegun-rate 15fps fast burst mode switched on. .... All that happens with focusing, too — the NX1′s focusing in my experience was pin-sharp accurate 95 per cent of the time with the two pro lenses, which is more than I can say for most DSLRs. professionalphotographer.co.uk - TIPA - The camera showed an excellence performance in sharpness and resolution tests. The ISO 12233 test chart was reproduced with 4108 lines per picture height (nominal sensor resolution 4320 lines). It achieves this remarkably high result without an exaggerated sharpness filtering, the over and undershoot results are very low. techgoondu.com - Sony A7 mkII vs NX1 - For the most part, both cameras are responsive when composing shots through the electronic viewfinder or the rear LCD screen. But the NX1 is so close to the actual experience that it feels like using an optical viewfinder! pcmag.com - The Samsung NX1 is a testament to just how far mirrorless cameras have come since their debut. Its autofocus system is the best we've seen in a mirrorless camera, and its near 15fps burst rate is better than you'll find in even the highest end D-SLR. expertreviews.co.uk - The NX1 must also compete with the Panasonic GH4, Fujifilm X-T1 and the Sony a7 series of compact system cameras (CSCs). It's a tall order, but one that the NX1 has no trouble living up to. tomsguide.com - With geometric patterns and perspective changes, architecture shots are a good way to evaluate a sensor: The little details can reveal problems like chromatic aberration (color smears) and jaggies along diagonal lines. I’ve examined this image magnified up to 300 percent, and the level of detail is stunning, with almost no edge problems, scarcely any noise and excellent resolution. dpreview.com - It's not uncommon for us to review a camera whose intent is to challenge an existing market leader. Samsung seems to have taken this tactic to the extreme with the NX1, not with the intent of challenging a market leader, but with the intent of challenging the entire market of crop-sensor cameras. dxomark.com - The new sensor in the NX1 has upped the stakes in terms of hybrid image quality, making Samsung’s latest hybrid the current king of mirrorless APS-C cameras in our database. The BSI sensor is not only the physically largest sensor of its type, but boasting a 28.2 million pixels, it’s also the highest-resolution APS-C hybrid currently available. Photokina Q&A: Can the Samsung NX1 redefine pro performance with a quantum leap in technology? - Speaking with Jay Kelbley. Photokina report day 1 – the Samsung NX1 (4K mirrorless camera with H.265) - An (illuminating) interview Andrew Reid did with Sung Lae Park (Samsung). Samsung NX1 / Sony A77II / Nikon D750: Your Favourite Was... Samsung! - A blind test performed by Digital Versus. Samsung NX1 Extensive ISO Test - A little testing, lots of images to peruse.